Colleague Focus – Meet Lily Meng | Mar-Bal, Inc. This edition of our Colleague Focus is centered on Lily Meng. Lily Meng has worked at Mar-Bal for close to four years. She is the Supply Chain and Customer Service Manager at our Shanghai, China office. 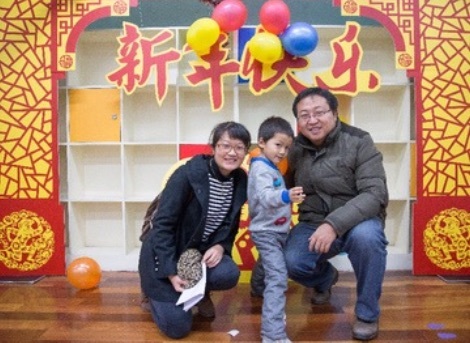 Lily has recently been celebrating the Chinese New Year, where families come together to celebrate the New Year with a variety of festivities. Lily shared that Mar-Bal is like family to her and has given her support for skill training over the years. Delving further into Lily’s career, we asked Lily what her proudest moment at Mar-Bal was. “I am proud that with my boss’ support, the Asia supply chain can go effective and efficient and satisfy our customer and sales team,” Lily explained. 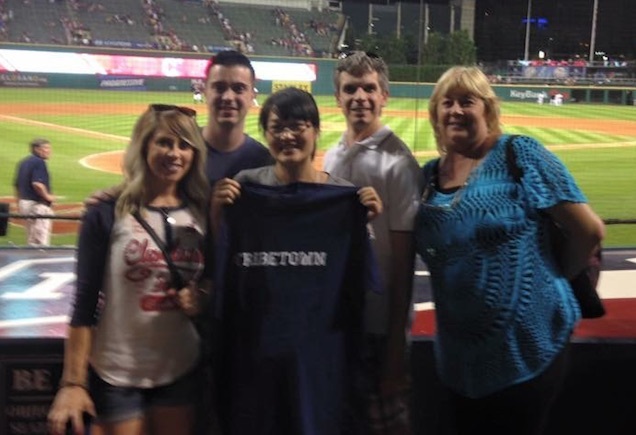 Lily (center) is pictured with Nick Scolaro (2nd from right), during her visit to the USA in 2015, she was able to enjoy a Cleveland Indians game. Nick Scolaro, the Purchasing and Global Sourcing Manager at our Chagrin Falls, OH location has had the privilege to work with Lily and expressed his gratitude for her kindness and hard work. Lily shared that she looks up to her mother. “[She is] always happy to meet any difficulty and work hard to solve life’s difficulties,” Lily said. In her free time, Lily enjoys reading or playing mahjong and walking with family and friends. She enjoys vacationing at Qingdao, located in China’s eastern Shandong province and bordering the Yellow Sea. Here, you can find skyscrapers, parks and beaches. When it comes to television, she enjoys shows that will put a smile on her face. “I like funny shows such as entertainment programs or soap programs,” Lily said. Happy New Year to you and your family, Lily! THANK YOU for all of your hard work; it is greatly appreciated. This entry was posted in Blog, Uncategorized on February 24, 2016 by Ron Poff.